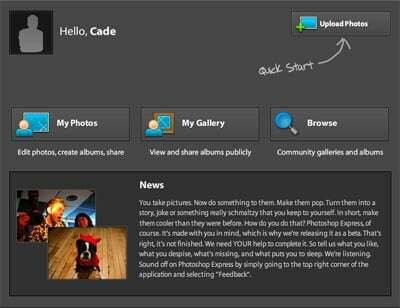 After complaints from freetards everywhere, Adobe has agreed to revise the photo pimping clause that accompanies its new freetard-friendly Photoshop Express service. Following in the footsteps of Flickr and other online photo sharers that prey on people with an underdeveloped sense of privacy, Adobe's Photoshop Express lets you expose your personal pics to the web at large. But even the privacy-challenged have taken issue with Adobe's terms of service, where the company reserves the right to pimp your pics from now until the Second Coming. And beyond. When you upload pics to the service's "publicly accessible areas," the terms say, "you grant Adobe a worldwide, royalty-free, nonexclusive, perpetual, irrevocable, and fully sublicensable license to use, distribute, derive revenue or other remuneration from, reproduce, modify, adapt, publish, translate, publicly perform and publicly display such Content (in whole or in part) and to incorporate such Content into other Materials or works in any format or medium now known or later developed." Nonetheless, the terms insist that "Adobe does not claim ownership of Your Content." We've heard your concerns about the terms of service for Photoshop Express beta. We reviewed the terms in context of your comments - and we agree that it currently implies things we would never do with the content. Therefore, our legal team is making it a priority to post revised terms that are more appropriate for Photoshop Express users. We will alert you once we have posted new terms. Thank you for your feedback on Photoshop Express beta and we appreciate your input.